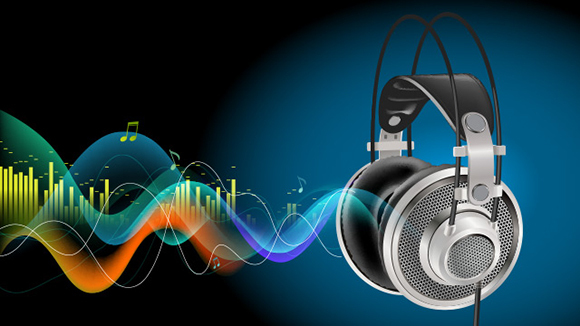 When it comes to audio editing software, Free Audio Editor could get all the glory. There are good reasons: you can use it for all the glamorous audio processing including visual editing, mixing, applying effects. Conversely, ordinary audio editing software is relegated to the grunt work which will not get talked about as much. Nevertheless, if you have no idea about which audio editor is the dedicated one, you should consider getting Free Audio Editor. In the article below, we will tell you why. One of the main reasons that’s true is that Free Audio Editor typically employs non-destructive editing, rather than the destructive editing used by other digital audio editors. Destructive editing refers to that your editing is applied to the audio file itself, whereas in Free Audio Editor, which stores your editing as instructions that tell the software which part of the audio to access on your hard disk and what to do with it, but there is no impact on your original audio file. Another reason why Free Audio Editor is often a better choice is the format conversion. For example, converting an audio file in AIFF or WAV to MP3 doesn’t have to go through the bounce process for saving time. What’s more, many other audio editors just offer a limited number of formats for conversions, whereas Free Audio Editor gives you a lot of choices. It is also more convenient for doing sample rate conversions, especially for a bunch of audio files. Sometimes you may need to deal with glitches and noises on your audio file. Free Audio Editor has dedicated features to deal with such kind of issues. 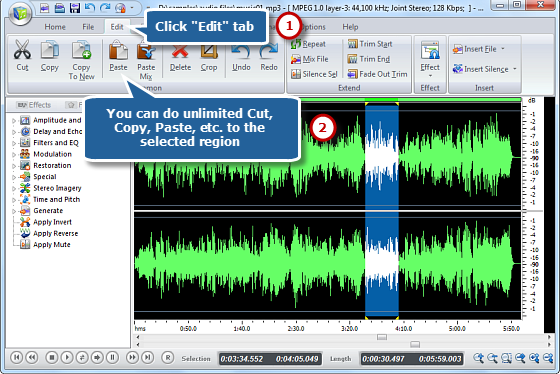 This free and specialized audio editor is a multi-track audio editor and post-production and audio restoration suite. You are allowed to apply all manner of audio processing. 1. 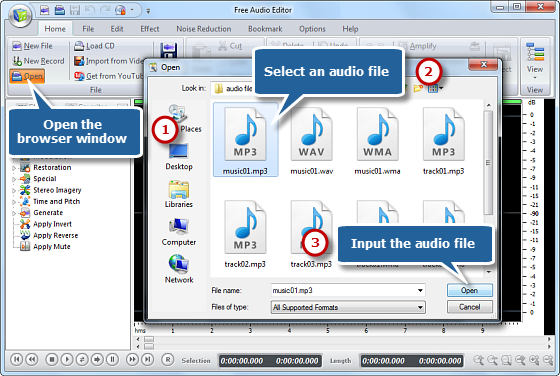 Go to “Home – Open” and in the popped-up window, choose an audio file to edit. 2. 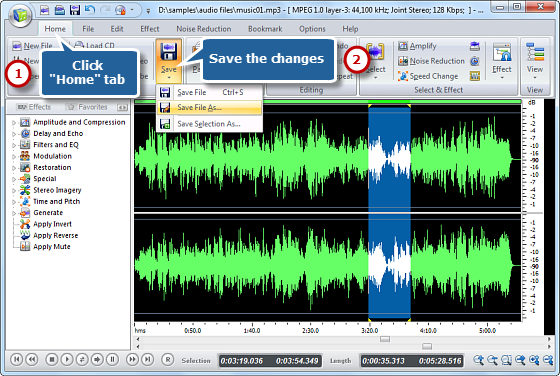 You will see the waveform of the audio file you choose in the program window. Select a part to edit in one of the following ways: use hotkeys, left-click and drag your mouse along the waveform, drag the slider on the slider bar below and set start/end/length time. 3. Go to “Edit” tab and there are many basic editing tools including cut, copy, paste, delete, and crop. Also, there are a lot of audio effects for you to choose. 4. To save the edited audio, go to “Home – Save”. 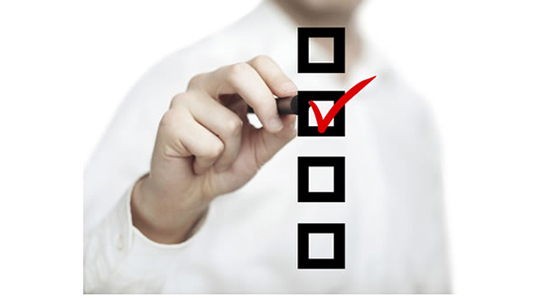 According to your needs, you can choose “Save File”, “Save File As” or “Save Selection As” for file saving. Finally, set the output quality and save. 1. Radio – Use the audio editor to create unique radio ads for broadcasting and apply cross fading or mixing for airplay. 2. PowerPoint Presentations – Create perfect clips for your presentation or polish the bad audio extracted from a video for putting it into the presentation. 3. Corporate Website – For microphone recordings, you need to filter out background noises or get rid of hums to get the clean sound clip for posting on your website. 4. Forensics – Use filters to clean up surveillance tapes or phone conversation recordings. 5. Restoration – You can restore cylinder recordings or old vinyl, hill and Edison Diamond discs by filtering out noises and adding high-frequency harmonics. 6. 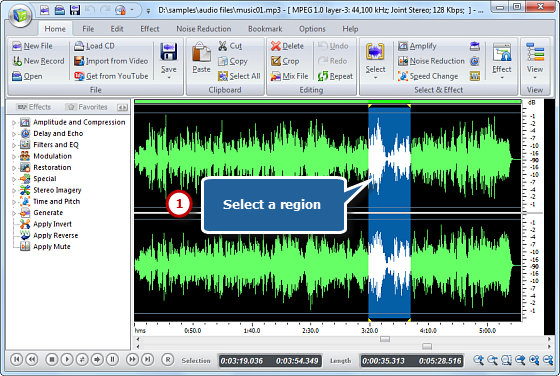 Performance – Cheerleaders, dancers or figure skaters can use audio editor to create performance mixings with smooth intros. 7. Internet Sales – Create expert sound for your product to make your business sound more professional so as to get sales and confidence boost. 8. Demo CDs – For those who are in a band on a budget, cleaning up live recordings before they put the tracks on an audio CD is a wise option. 9. Analyze Sound – Biologists, ornithologists or zoologists need to analyze animals’ sounds like sound waves and frequencies. 10. 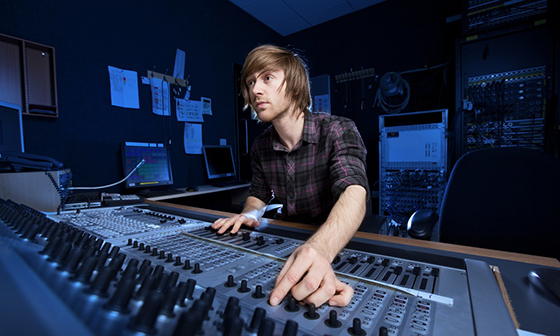 Movie or Television – Free audio editing software can help you edit and mix your sound clips and apply effects for no-budget film school projects. In short, as one of the most famous audio editing packages, Free Audio Editor has been around for decades. It is just like a giant candy store that you can do almost anything for your audio editing. For the newcomers, it never seems hopelessly complex, and on the contrary, they can get used to it in a very short of time.